Synopsis: I have a gardener's inherent belief in the natural order of things. Soft‑petaled flowers that go to seed. The resolute passage of the seasons. Swallows that fly thousands of miles to follow the eternal summer. Children who don't die before their parents. When Kate receives a phone call with news that Rosie Anderson is missing, she's stunned and disturbed. Rosie is eighteen, the same age as Kate's daughter, and a beautiful, quiet, and kind young woman. Though the locals are optimistic—girls like Rosie don't get into real trouble—Kate's sense of foreboding is confirmed when Rosie is found fatally beaten and stabbed. Who would kill the perfect daughter, from the perfect family? Yet the more Kate entwines herself with the Andersons—graceful mother Jo, renowned journalist father Neal, watchful younger sister Delphine—the more she is convinced that not everything is as it seems. Anonymous notes arrive, urging Kate to unravel the tangled threads of Rosie's life and death, though she has no idea where they will lead. (32) Review: Its amazing what secrets the "perfect" family can hide. Rosie's family looks perfect from the outside but after her death their secrets start to be peeled away like layers of an onion. 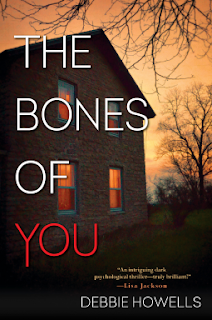 Reminiscent of The Lovely Bones by Alice Sebold, Rosie tells her story from beyond the grave, while Kate unravels it on the living side. Flipping from Rosie's perspective, to Delphine, Kate and Jo, this book unravels. It doesn't feel like you are being told a story so much as feeling that as things start to fall apart you start to see the cracks and imperfections that make you want to pick at them along with the characters to allow you to see the truth. Very well written with parts that make you smell the fresh air, and odor of horses and sunshine. There were also parts I felt were lacking or missing, and some legal maneuvering that is common sense that didn't seem to happen. However, I would still recommend this book especially if you like to delve into the more psychological aspects of why a murder takes place. This was a disturbing psychological thriller that didn't move at a breakneck pace but rather a slow uncovering of the all the more disturbing facts.